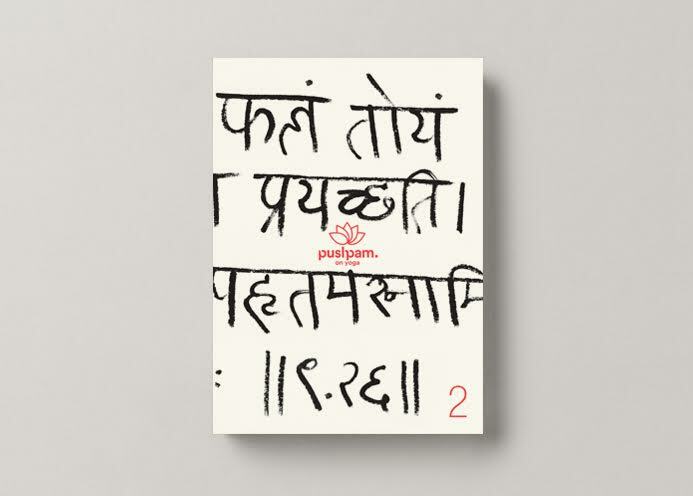 ​The Pushpam publication stealthily found its way into every crevice of my life: beside the bed for a nightly peruse, tucked into my briefcase for the morning train ride, and on the armchair for a leisurely read after dinner. 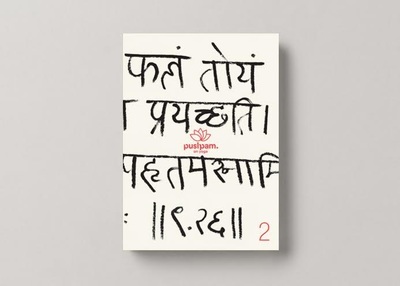 Pushpam’s translation is, “flower”, in Sanskrit. It is a beautiful, richly deep and penetrating body of work. The quarterly publication explores themes of yoga beyond asana. The quality of content within each issue is exactingly high. Many of the authors are experts in their respective fields. 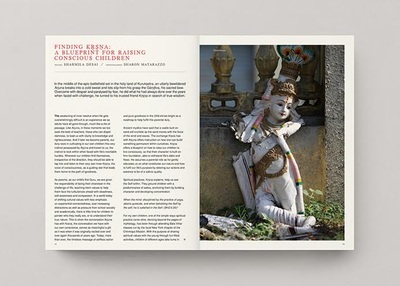 Certified teacher, Hamish Hendry, is the publisher and journalist and authorized teacher, Genny Wilkinson Priest, is the editor. I recently received both volume 1 and 2 from a friend in Mysore (purchased at KPJAYI) and my wife’s recent visit to Hamish’s shala in London. 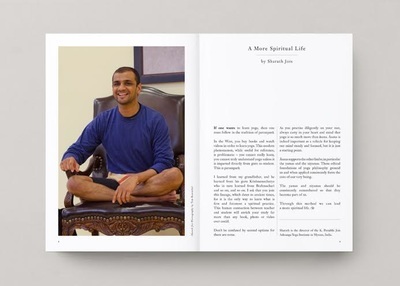 The publication is incredibly valuable tool for the yoga practitioner. It seeks to go beyond the physical aspect of our practice, delving deeply into the unseen, rich, layers. Topics including consciousness, concentration, parenthood, God and spirituality are explored. Every yoga practitioner’s library should contain it. Ashtanga is a practice of paradoxes. The physical asana and sequence that requires complete effort is merely a tool for the practitioner to go inward toward single pointed concentration. Jordan reminds us the nectar of the practice lies in consciousness. The range of curated articles is refreshing and the breadth of topics highly impressive: “God in Patanjali’s Yoga Sutras”, “Western Meditation and Astanga Yoga Practice”, and a much skirted topic in the community, “Unravelling the Yoga and Eating Disorder Tangle”. There is also a fascinatingly candid piece titled, “In Conversation: Two Certified Teachers (Richard Freeman and Hamish Hendry).” Many gems can be found in this exchange between Richard and Hamish. The reader can envision two senior teachers engaged in lively banter from inside a coffee shop during early spring. It is worth reading multiple times. My comments only skim the surface of this highly enriching work. The authors within each volume have done a tremendous job. I look forward with excitement to upcoming editions.